Gustavus Adolphus College provides an excellent environment for aspiring entrepreneurs. A liberal arts focus on critical thinking and creative problem solving are hallmarks of Gustavus education. Our students excel at spotting opportunities and working in team environments. This is evidenced by our many talented alumni who have mastered these skills and built successful enterprises. The Economics and Management department blends academic instruction, alumni coaching, and challenging competition to help students develop entrepreneurial skills. We rely on one of Gustavus’s core values of community to connect students with successful alumni entrepreneurs. Guidance from experienced and successful alumni allows our students to acquire skills and knowledge that would otherwise take years of trial and error to master. No matter the vocational path our students select upon graduation, entrepreneurial skills allow them to make unique contributions to their organizations and communities. Our process of supporting aspiring entrepreneurs is two fold. First we seek to help students of all academic backgrounds identify ideas, projects, and processes that have a potential of being converted into value-creating enterprises. By learning to think of problems as opportunities for improvement, students grow aware and more likely to spot entrepreneurial prospects. Through opportunities such as the Gustie Tank and the Seed Money grants, students conduct small scale experiments and collect feedback on their ideas. 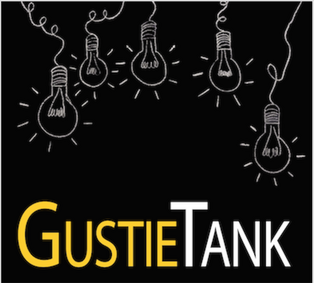 As the students begin to go beyond the idea stage, we encourage them to enter the rigorous Gustie Entrepreneur Cup and to form connections with our extensive network of alumni that provides guidance, mentoring, and resources for turning ideas into practice. Whether experimenting with entrepreneurship forms the basis of a career, or is practice for even bigger ideas in the future, the process of experimentation turns students into creative problem solvers, an invaluable attribute on any path they choose to pursue.